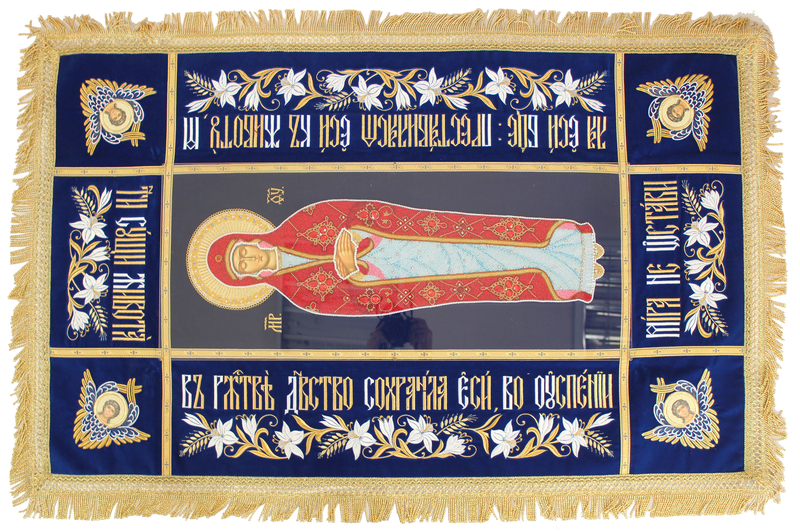 Embroidered shroud of the Most Holy Theotokos -12 - Istok Church Supplies Corp. 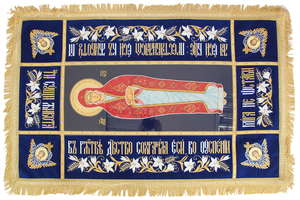 Traditional Orthodox Christian embroidered shroud of the Most Holy Theotokos. Natural German velvet, embroidery, lythography. Size: 14.6''x34.3'' (37x87 cm).